Read about the best trekking destinations in India to explore this monsoon. The trekking trails in Himachal Pradesh and Uttarakhand are great tourist attractions. Many of us believe that trekking is not a monsoon activity, but there are several hikes in the Himalayan Region that are specially meant for the rainy season. Monsoon is the time when most of the country becomes soaked in waters and most of the trekking route turns out closed for trekking. Nevertheless, there are several trekking routes, which a trekker can opt during the showers to satiate their quest for carrying out this exciting adventure. If you are a trekking enthusiast and want to enjoy trekking in the season when the sky turns bluer and foliages turn greener here are top treks in India that you may consider exploring in monsoon season. 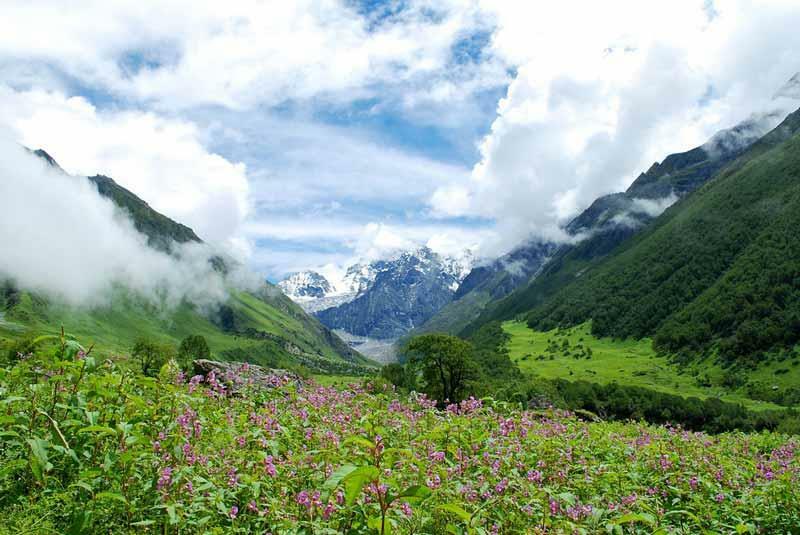 Valley of Flowers is without a doubt the best one to do in the monsoon. The monsoon adds more charm to the valley, covering it with vibrant wildflowers of every color and shape. On the way you can stop at the Hemkund Sahib Gurudwara and take a dip in its sacred lake. Located in Uttarkashi District of Uttarakhand, Dayara Bugyal is counted among the easiest treks of the state. It is a 9 kilometers long trek after which the traveler reaches to this opaque green high elevation meadow. An ideal trek for long weekends, it is a perfect start for new trekking enthusiasts. Roopkund Lake also known as the mystery lake is in Uttarakhand, this lake requires a magnificent trekking. 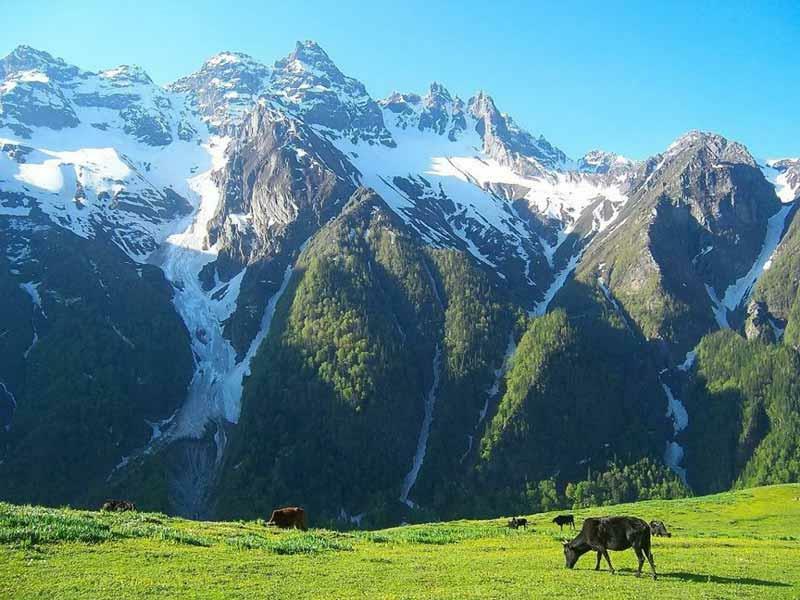 The route of this trek involves the sights of meadows, snowcapped peaks, meandering lakes, lush forests and many more such insignias of nature's exquisiteness. The lake remains frozen almost all through the year. This is a moderate trek starting from Deoriatal. This trek incorporates exploring two beautiful peaks in Uttarakhand- Chopta and Chandrashila. The route includes the fascinating site of snow laden peaks, radiant stream, lush woods, etc. The highest altitude in the route is 3,600 meters. A moderate level trek with a maximum altitude of around 14000 feet. It will take you to a surreal meadow with snow-capped peaks in the background and colorful flowers on the valley bed. Increase the fun by trekking further to Chandratal. The pass is located in the Dhauladhar Range in Himachal Pradesh. It is a moderate trek to this pass at the sheer height of 4324 feet. Beginning from a fascinating region of Mcloedganj, Indrahar Pass Trek is a trek that spellbinds the tourists with its magnificent natural beauty and serenity. Indrahar Pass lies and it is a pass that draws the attention of every traveler across the world. 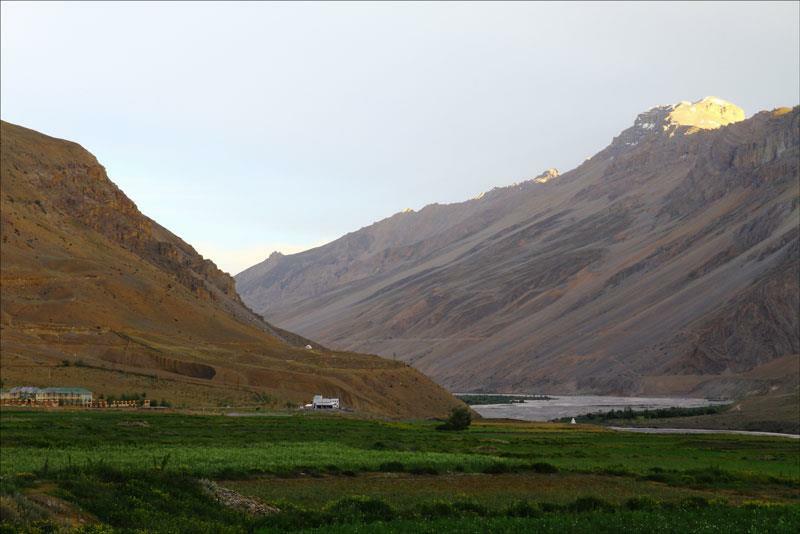 This excursion not only allows you to see the various monasteries and high-altitude villages of the Spiti Valley, but also precious fossils from the time when the area was covered by the Tethys Sea. You can stay at a family-run homestay. You may also explore the monasteries of Indus Valley, keep walking through verdant grassland, and reach the azure waters of Tso Moriri Lake where you also get to enjoy camping. During the monsoons, Zanskar Valley trek gives a new definition to this adventure, named trekking in Ladakh. Savoring wonderful scenic beauty, trekkers get to pass famous monasteries, remote hamlets and wild canyons, worth capturing in your cameras. After coming back from even one of the hikes, you will never find the rainy season a pestilence as you will have amazing things to do, journeys to take and experiences to share. So, you can enjoy trekking in Himalayas even in monsoon too. Just pack your trekking backpacks and head out to witness the adventures in mountains.